These Home Plate plaques is the perfect fit when you need a plaque for your next baseball awards. 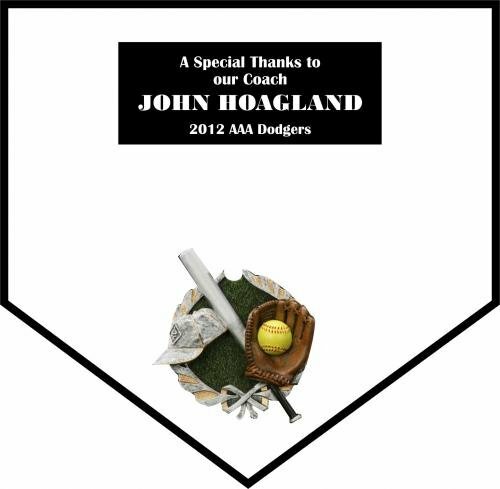 The black bevel edge highlights the bright white finish of these home plate shaped plaque. 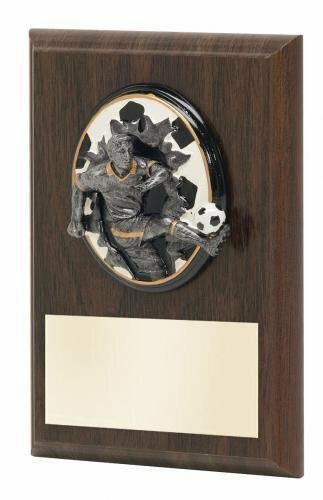 Flexibility is the key to these awards They provide ample room for whatever you personalization needs might be. 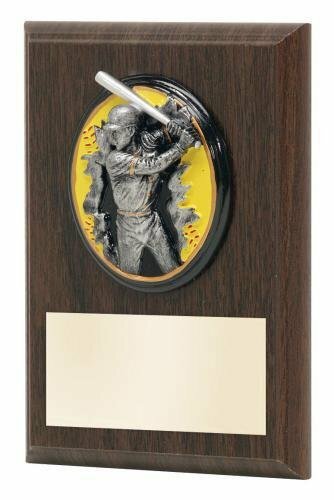 This softball plaque is sure to be a home run. 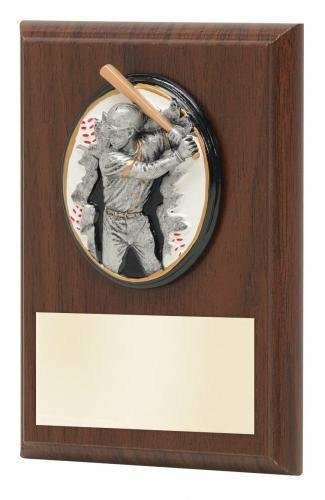 The sport blaster plaque mount has the batter with her bat back, waiting for the next pitch and is blasting through a full color softball complete with red stitching. 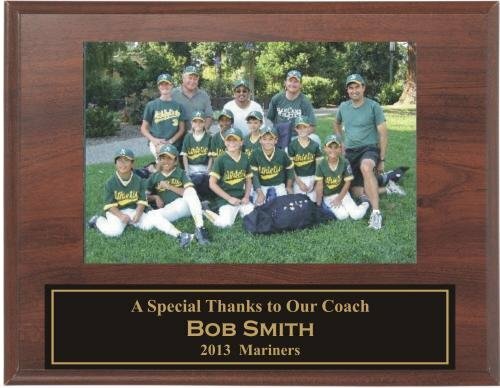 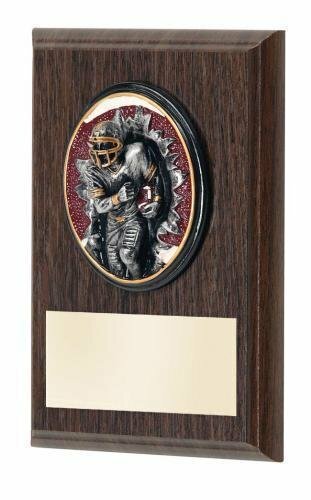 The plaque measures 5" X 7" and is in a beautiful cherry wood finish. 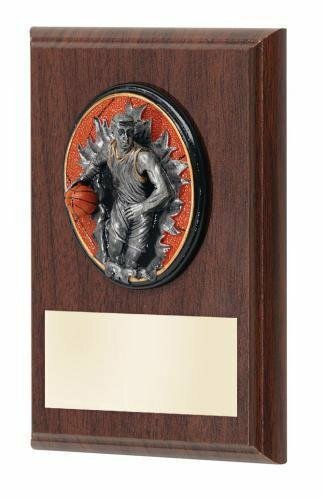 Other finishes on the plaque are also available. 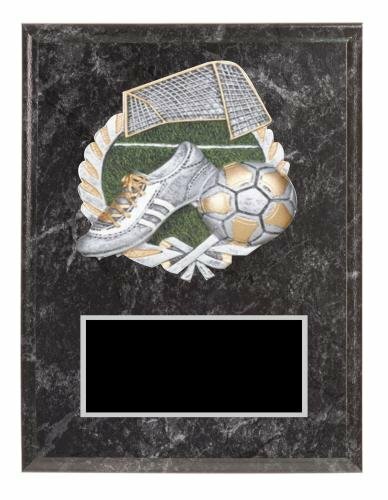 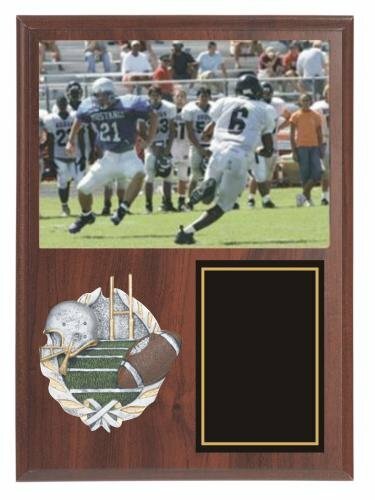 This plaque has plenty of area to handle any of your recognition needs.